Born: June 1854, Stanbridge, Bedfordshire, England. Died: 18 February 1943, Cape Town, South Africa. William Flint, cleric, scholar and librarian, was educated at Headingly College, Leeds, and the Theological College of McGill University in Montreal, Canada, where he obtained the degree Doctor of Divinity (DD). He was ordained to the Wesleyan Methodist ministry in 1882. From 1889 he spent two years in the Cape Colony for health reasons and in 1892 settled in South Africa for good. After serving in Colesberg and Pietermaritzburg for some time he became minister of the Methodist Church in Rosebank, Cape Town, in 1894 and resided there for the rest of his life. In 1892 he married Margaret J. MacGregor (daughter of Alexander MacGregor, a former mayor of Kimberley, after whom the MacGregor Museum in that town was named), with whom he had six children. He started publishing The Methodist Churchman in 1896 and edited it for some years. From 1901 he held the position of librarian of the Cape parliament, and from 1910 of the parliament of the Union of South Africa, until 1921. During these years he retained the status of a minister, without pastoral charge, of the Wesleyan Methodist Church, serving as president of the Cape Peninsula church council, president of the Peninsula Christian Ministers' Association, and president of the South African Christian Endeavour Union. 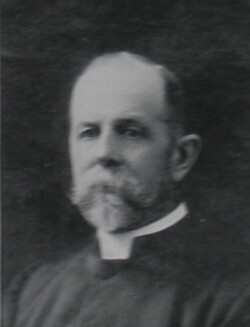 He became president of the South African Methodist Conference in 1927 and three years later played an important role in establishing the Methodist Theological College in Mowbray, Cape Town, of which he was honorary president until it closed in 1939. As a scholar Flint was interested also in science and education. In 1902 he became a foundation member of the South African Association for the Advancement of Science. As the first chairman of its publication committee he was the editor or co-editor of the association's annual reports from 1903 to 1907. He was also the editor (with J.D.F. Gilchrist*) of Science in South Africa (Cape Town, 1905), a handbook on scientific work and progress in South Africa by local experts, published in preparation of the joint meeting in South Africa of the British and South African Associations for the Advancement of Science in 1905. His own contribution to this volume was entitled "The growth of South Africa: Historical and sociological data" (pp. 477-489). After being elected as a member of the association's council in 1907 he served as president of Section E in 1910, as general secretary in 1918, and was elected president of the association for 1919. Flint became a member of the South African Philosophical Society in 1901, served on its council, and remained a member (later a life member) when it became the Royal Society of South Africa in 1908. In 1905 he also joined the British Association for the Advancement of Science. His other publications included "The legal and economic bases of some colonial teaching universities, with a local application" (Transactions of the South African Philosophical Society, 1903, Vol. 14(1), pp. 79-97); his presidential address to Section E of the South African Association for the Advancement of Science, "Archives as a national asset" (Report, 1910); and his presidential address before the association, Race consciousness and the scientific spirit (Report, 1919). Flint was a member of the council of the University of the Cape of Good Hope from 1903 to 1918, and served on the council of its successor, the University of South Africa, from 1922 to 1936. He also served on the Archives Commission; on the council of Huguenot College, Wellington; as chairman of the Rondebosch and Mowbray Cottage Hospital from its establishment until 1911; as joint secretary for the Inter-Colonial Conference on University Education in South Africa; and in many other similar roles. He was an unpretentious man with a charming personality. In Memoriam: The Rev. William Flint, DD. South African Journal of Science, 1943, Vol. 40, p. xxiii. Obituary: William Flint. Transactions of the Royal Society of South Africa, 1948, Vol. 31, p. ii. Royal Society of South Africa. Transactions, 1908-1910, Vol. 1; and 1917, Vol. 6: Lists of members. South African Association for the Advancement of Science. Report, 1903, 1905/6, 1907, 1908, 1910, 1913, 1918, 1919. South African Philosophical Society. Transactions, 1903-1907, Vol. 14, 16, 17.